S.A. Larsen, Award-winning author of middle grade & young adult fiction: Season for Reading GIVEAWAY!! Ever received a book that made you go ooh? What about a book on writing that gave you that 'ah-ha!' moment? I'm sure if we got together we could put one heck of a list together. We probably should at some point, but that's for another time. 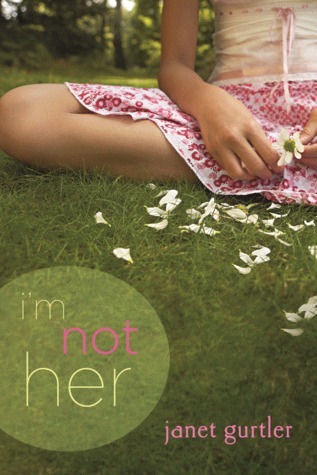 Today, I'm highlighting a book that impacted me, sent my head spinning, and for me, a book that pushed me over the ledge, convincing me to get serious about my writing. Moving forward to high school, I did learn how to 'be one with the crowd.' So, yeah, independent reading for pleasure basically disappeared. During my turbulent college years, I mostly took refuge in Stephen King's books or any story on dance. It wasn't until I began having children and read favorites like I Love You with All My Heart that I started really reading. And when I did, some of the stories I'd been forced to read during my school years came to life. Blood and Chocolate had been an old favorite of mine, yet I'd forgotten that. Then there's the major classics of Pride & Prejudice, Wuthering Heights, and Emma. Soon I moved to reads like the Vampire Kisses series, Vampire Diary series, Heather Brewer and her fabulous MC Vlad, and then Melissa Marr's series, Wicked Lovely. And yes, I read every word of Harry Potter as well as the Twilight series. Little did I know, all of the was slowly forging my road to writing and publication. Then I found more gems. And not just books with stories in them, but books on instruction. 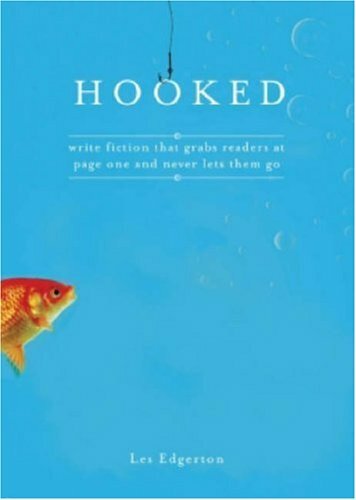 So today, I'm giving away to my followers Hooked, by Les Edgerton, and donating I'm Not Here, by Janet Gurtler, to my local high school library. To ENTER, simply leave me a comment telling me that you're a follower. You can receive extra entries for sharing via social media, voting for my picture book HERE, or donating your choice of book to a library near you. Each will receive an extra entry as long as you let me know what you did. Thank you for participating and spreading the word. Click on the icon above to visit the other participating authors. Don't forget to enter my Book Lover's Holiday Giveaway HERE!! I've got Hooked on my Kindle, but I haven't read it yet. Glad to know it's a good one! I used to donate in my last community, but haven't figured out the system here. I have Hooked. It's a great one. Thanks for the giveaway and if it is open worldwide I would love to be entered. I have Hooked so don't enter me! That's wonderful you're donating to your highschool library. I might do that with some of my books. Share the joy. awesome! I don't think I can name one book that helped my craft- a lot of it has been learning as I go and taking note from much better and more experienced authors than myself. Save the Cat has been useful. I probably learn the most from blogs, though! Of course I voted for your lovely picture book (can you vote more than once?). I own HOOKED on my Kindle but would love it on my bookshelf! Off to vote for you now! You're doing another giveaway and donation? so generous! What a great giveaway. I voted for you and I donated a copy of my first book to my local library. That is so awesome, Kelly! I love that you donated your book!! I followed you through GFC and liked your picture book! Thank you for saying so, Lecea! I appreciate it.